Glenn C. Loury delivered this presentation at Hillsdale College on November 7, 1982, as part of a Center for Constructive Alternatives seminar entitled, "Ethnic America: Melting Pot or Mosaic?" One of the great myths of our time is the belief in the great melting pot of American ethnicity, into which have been blended the cultures and values of disparate peoples from the world over. While no one can ignore what is one of the most noble and dramatic stories of mobility, both geographic and economic, in modern history—the rise to middle-class status of the bulk of the descendants of European and Asian immigrants to the United States—no one should presume that this transformation represented some kind of natural process of uplift which lies latent within the principles of the U. S. Constitution and the philosophy of laissez-faire capitalism. Rather it represented specific individual and group struggles to overcome specific obstacles at one point in history. The standard melting pot story certainly does not do a very good job of describing the experience of blacks in twentieth-century America. Regarding this history we have developed another myth—perhaps the second greatest of our current historical myths. This fiction holds that, while there was certainly much racism and discrimination which prevented blacks from full participation in the melting pot’s economic reward, prior to the civil rights movement and the legislation of the 1960s, the enactment of that enlightened legislation has now removed the previous barriers and created a situation where the melting pot can again do its work. I believe this notion is woefully simplistic, for several reasons. First, the fact of skin color is a basis for separation qualitatively different from those traits which distinguished the earlier ethnics. Second, there is the fact that the blacks did not migrate to the industrial centers of America from eastern Europe, but from the South of the U.S. They did not come as foreigners, grateful for the willingness of the host country to accept them, but as citizens of the host country fleeing its oppression. This reflected itself in a sense of entitlement among blacks, evidence of which can still be found in the ideology of the civil rights movement today. Third, and very important, is the atmosphere of racial ideology within which blacks have had to function in American society. Going back to the pre-bellum South and the justifications of slavery fashioned out of the presumed inferiority of Africans, but continuing in American culture and literature until recent times, blacks have had in various ways to defend their basic claim to an equal humanity before the general American public. I don’t say that all or even most Americans held these racist views. But the fact that blacks themselves believed that these views were widely held affected the way in which they reacted to their own failings, and the nature of their internal politics. Finally, the very timing of the black migration placed these newcomers at a disadvantage relative to the earlier-arriving ethnics. Blacks got to the cities after the urban political machines of the Irish and others had locked up the control of patronage, after the labor movement had achieved sufficient political acceptance and clout to protect its members against the competition of cheap labor, but just in time for the most debilitating aspects of the welfare state to encourage the kind of dependency so widespread in the low-income populations of today but unknown earlier in this century. But it is not enough to dismiss the analogy of today’s black poor with the poor immigrants of yesterday, without offering an alternative conception of the problems and prospects of this population. What to do about the inner-city black poor is surely one of the most important questions of our day. I do not believe that after more than one hundred years of second-class citizenship for black Americans, fifteen years of legalistic equality of opportunity is enough. While I am aware of the philosophical difficulties in advocating special attention by the state to the problems of individuals, based upon race, I nonetheless urge that our government not abandon that sense of concern which animated the Great Society programs—not abandon this population to its own devices. How is it that I can take such a moral stand? As one who professes to believe in free markets, limited government, and equality under the law, I believe such a position requires a meticulous defense. In addressing this, I think it important to make the distinction between equality of procedures and equality of outcomes. Most of us would accept that it is within the legitimate scope of the liberal state to use its powers of coercion to assure that all citizens enjoy equality of opportunity. But many, especially on the right, would argue that there is no moral compulsion that the state extend the pursuit of equality beyond that point. Yet this distinction between procedure and outcome is a tricky one, more easily made in theory than practice. It is evident from history that there has not been equality of procedure for blacks. As a consequence of that fact of history, there is today inequality of outcome. Thus, inequality of outcome between blacks and whites has a claim on public attention by virtue of the fact that it is at least in substantial part grounded in historically unequal procedures. The links between current outcomes and past practices are evident all about us. Society is not modulized into sets of generations that sit side by side in time and that do not interact with each other. For example, the failure for blacks to own any substantial capital assets in this country is in part a consequence of the fact that men and women of genius and great energy were not able to convert their talents into accumulated wealth that could accrue to their offspring. I am saying, then, that substantial differences in outcomes that are clear and large bring a prima facie case for investigation, and that the history that has generated those outcomes then suggests to us remedies that might be taken in terms of group-specific state intervention. Nonetheless, I would also warn that some of the means through which blacks may advocate equality are inappropriate in the current political environment. Political fashions can change quickly. You can be in today, and out tomorrow. It can be popular to support your cause and to march at your side today, and very unpopular to stand with you in your quest for equality tomorrow. If it is all right to boycott a producer of consumer goods who does not hire the appropriate number of black distributors today, then it may be all right to boycott a sports team which does not employ the appropriate number of white halfbacks tomorrow! If one can establish principles that are widely shared by all members of society regarding the significance of procedural equity, then this is not to be shunned for momentary political advantage. There is a further danger, I think, of black people shifting the responsibility for their circumstances and behavior onto the state, or “the man,” or “the system.” It runs the risk of persuading the individual that there is nothing that he or she can do about his or her situation because the history and ongoing consequence of racism prevent any progress. For this reason I am especially concerned to distinguish between saying that justice requires some governmental concern about the inequalities which we observe today between the races, and saying that blacks remain without fault or responsibility for those many problems which beset the inner-city community today. The second position does not follow from the first, and indeed is quite dangerous if widely held in any community. 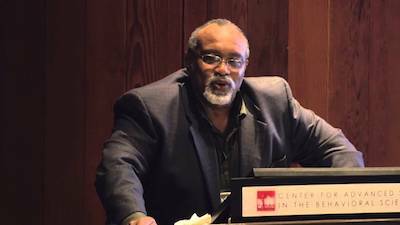 For many black observers, and whites sympathetic to the plight of the black poor, the withdrawal of support for programs which largely benefit the black population, the references to inner-city crime and the growing rates of illegitimacy and welfare dependency in the low-income urban black population, are but thinly veiled expressions of a very old American disease—racism. I disagree. The contemporary withdrawal of support for our special interests does not constitute a major challenge to the principles established with such difficulty in the legislation and case law of the earlier era. Many of the claims of blacks today are not the same as the claims for justice which proved successful a generation ago; many of them have little to do with racial injustice per se, and much to do with the redistribution of income to blacks as blacks. Racism—by which I mean the expressed desire of people to associate with those of their own race in preference to others—is an enduring phenomenon which cannot be legislated or litigated out of existence. Indeed, the very persistence of racially distinct subgroups of a population such as ours depends upon the continued expression of racial preference in the selection of mates, a preference which none can deny exists and few would regard as illegitimate. Thus, the real problem for a minority such as black Americans is not the existence of racism, but its management. Before the civil rights movement it had been successfully held by many racists that the Constitution put few constraints on the extent to which the pursuit of racial preference by white Americans could limit the prospects of black Americans. The great victory of that movement was to establish that such exclusion in the political and economic sphere was inconsistent with the basic tenets of American democracy. Thus today the economic problems confronting many black Americans, while quite severe, can no longer be wholly understood as the result of racially motivated exclusion. Many racial and ethnic groups in this and other societies have faced and solved problems like ours without the legal apparatus which we now have at our disposal. Today the main problem is not overt racism in economic life. The main problems are the poverty, disintegration of family life, lack of unity and mutual concern, absence of achievement ethic and dearth of positive role models which plague many of our communities today. The tendency to view the current exigencies of the black community as imposed from without due to racist disinterest (almost a contradiction in terms! ), neglects those internal factors which certainly contribute to the problem, and more importantly which we can in fact control. Surely, we do not seriously advance the notion that white middle-class anger and concern about street crime in the central cities—crime often associated with urban minority youth—is racist in motivation. Nor can we sensibly assert that the responsibility for that situation lies with “the system,” or “society” in some abstract sense, as opposed to the individual perpetrators whose behavior occasions such cost for others. Does anyone argue today that the current illegitimacy rates in excess of 40 percent among young black mothers arise because of racism? Are we to understand the growth in welfare dependency in this population, to the point that in most big cities more than one half of all black children are supported in part by AFDC, as the consequence of an external, societal failure? It has become imperative that the individual young black man come to accept more responsibility for his fate. If our intellectuals and political leaders insist upon externalizing this responsibility, if they continue to tell this young man that it is racist American society which has wrought his current circumstance, then they risk removing the single most important tool for change in that young man’s life—namely his belief in himself. No, we have not suddenly all become Horatio Alger; but one does not have to pull oneself by the bootstraps into great wealth in order to recognize the objective relationship which exists in this society between effort and reward. There is much greater scope for change at the level of the individual than is often recognized in the political discourse on this question. In the current environment it is evident that survival will require both the recognition and the exploitation of these opportunities. We must shift our emphasis from manipulation of the external political mechanism to the internal building of institutions and practices which directly improve the lot of low-income blacks. We must start helping ourselves—as a matter of necessity, not ideology. We must consciously begin the task of narrowing the distance among classes within the black community, and take unto ourselves more of the responsibility of our collective condition. We must be willing to identify and foster in the community those personal values which promote success. We must not be afraid to make judgments about faults and failings which can be observed in our community, and we must have the courage to voice these judgments. The “liberal” whites won’t do it. Racism does not account for most of the problems which beset the black community in this country. We must abandon the pernicious and self-destructive tendency to imbue “the man” with ultimate control over our own destinies. This is an abdication of responsibility unbecoming of so proud and enduring a people. Precisely because racism is a fact of life, the greater majority of blacks share a common, long-term fate. This being the case, it is in our own individual interest to contribute our time and resources to the advancement of those least well off among us. And it is a supreme political and moral failure for us to sit back in disgust, doing nothing but shouting epithets, while the consequences of inaction engulf us.